Well, what a year 2016 has been. Lots of stars has left us. From David Bowie, Lemmy and last Carrie Fisher. Well, as a Skype for Business consultant, this year has been great for me. Lot's of interesting projects. New job at #blinQ. Building a company from the beginning. KEMP VIP status and blinQ got as the frist in Nordic Area KEMP Center Partner. Microsoft has pushed out more new features in Office365. The new MAC client finally got here. Skype Operations Framework will now be a important part of how we shall deliver projects. Someone out there in LinkedIn said that in about 2 years time the Skype for Business consultant role has gone and that companies do not want to hire them anymore. 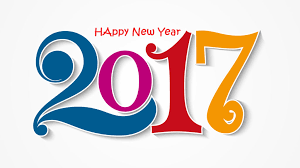 Thanks to all my readers, an I'll be back next year. As some of you have read on LinkedIN. Norway has now got their first two KEMP VIP's. I feel real proud to be one out of two. As a KEMP VIP & KEMP Champion I will get to see what's will come on KEMP. We will also get first hand on the news. There will be meetings with the developers, we can come up with ideas, make blogs for KEMP and be early out in the news. If you want to know more about KEMP, well as I see it there are just one KEMP Center at present time in the Nordic, and that is blinQ AS. Just take contact if you want to know about LBA, Reverse proxy replacement or anything around KEMP Loadmaster. Well at this time there has been lots of good one and some not so good. But tomorrow this all will change again when Sennheiser will give me try for the new MB-660. Based on that I have read about it already, well this is something that I am looking forward to. Will it be as great as the Plantronics Focus UC ? It has been out for a while and this is a great method to get your Skype for Business either you will have it Online, Hybrid or Onprem installation. Since working as Chief Consultant, it's very important for me to work how the best practices say. This because the customer will get best and a smooth implementation of the Skype for Business. Today there are lot's of people out there talking about how to take Enterprise voice to the cloud. In the Nordic region Microsoft deliver lots of users to O365. But then you have just PSTN Conferencing at the present time, unless you can use Telenor Office365 with Telenor Mobilt Bedriftsnett. One of my customers has installed the lastest CU for Skype for Business. The CU-3 or the June 2016 cumulative update. It can be found here. 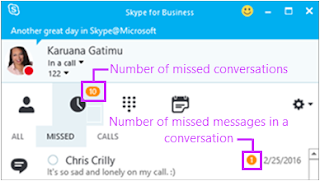 This update contains some new features that will make Skype for Business more interesting. I will go through all the new stuff that comes in this package. 2. Busy on Busy is a new feature also. This is something that we in Nordic countries has used for ages thanks to Competella and their Routing Agent. Microsoft has since June 2016 this feature but it has some limited features if you look at it instead of the Routing Agent from Competella. How this is configured, well Randy Chapman has a well written blog about this. Read all about this here. Make screen-sharing (up to 5%) more reliable compared to RDP alone. Make the session setup and video experience faster compared to RDP alone (setup in half the time, with a 6:1 improvement in frames-per-second). Works much better than RDP in low bandwidth conditions, even when sharing high motion content, such as 3-D graphics. You have to do some changes to make this works. There are some commands to make policy changes that has to be run. Read all about it here. My customer who installed this update has not tried this yet, but when it's done I will sure come back on it here. The last feature that is added is the multiple emergency numbers in Skype for Business. I am not sure how often this feature will be used in the Nordic countries where I mostly work. But you can read all about how to configure it here. Thats all for today. Hope you found this one interesting. I will come back soon with some more news about Skype for Business. "After doing more research and tests I have confirmed that both Lync Server 2010 and Lync Server 2013 issue self-signed certificate with SHA-1 algorithm to Lync clients in the meantime both Skype for Business Server 2015 and Skype for Business online issue self-signed certificate with SHA-2 algorithm to their clients. After doing plenty of research we cannot change Hash algorithm of the self-signed certificate issued by Lync Server 2010 and Lync Server 2013 so we’d like to suggest you perform the upgrade to Skype for Business Server 2015 before January 1, 2017. " After doing some google search I found this one from November 2014,SHA-1 client issue as it say that clients does not have to do anything but this is an technical issue. And since also Lync 2010 is out of mainstream support well now it's the time to plan for your upgrade. 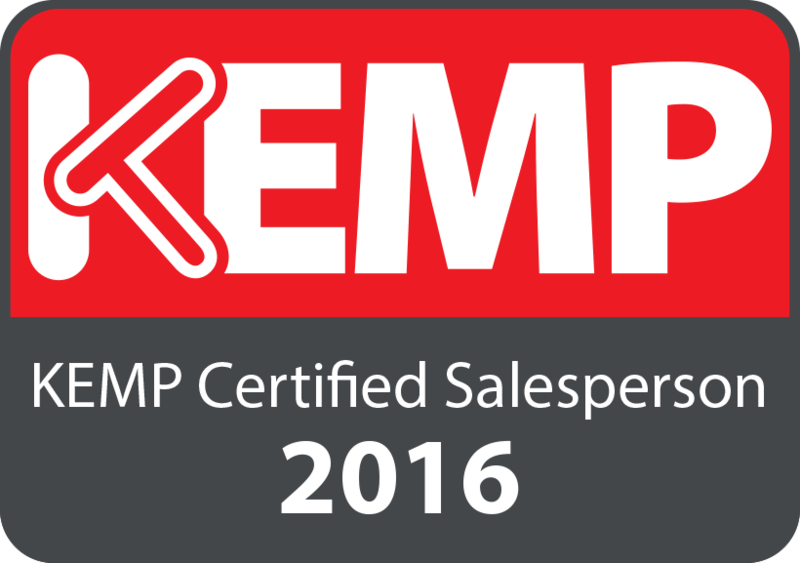 For about a month ago I become KEMP Certified Salesperson. I had to take this since my first goal was to become KCE (Kemp Certified Engineer). Well today I passed the test and are now KEMP Certified Engineer. 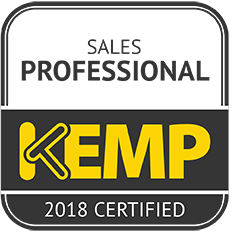 The next certification is the KCP (KEMP Certified Professional). Some days ago in twitter I saw that the new CU for Skype for Business is now out and it replace the November CU. I have not tried this yet on any servers, but I will tries it out as soon as possible on our systems and will then come here with more information about this. Today's blog is about InterRoute.....How to get this to work in Skype for Business #Skype4B or in Lync 2013 if you are stilll on the old product. If you are installing internal sip trunks, well then this might help you a lot. First I have a fantastic CoWorker named Thomas Stubergh here in Skill AS @SKillNorge who gave lot's of input. The next thing we did was to establish the trunks and route's for the internal trunk and for the external trunk as well. Then under trunkConfiguration we had to add two configuarations. and both has to have the internal and external trunks in it. Then we had to place the internaltrunk on top on both. Then we made the number that we wanted to be used for internal trunk on called number, and also if you have short numbers for speeddial. And then just wait until it replicates, and magic happend. Then we saw on wireshark that when dialing from external (my cellphone) it hit the external trunk and then moved to the internal trunk. After the patch for Office who came out in November, there has been an issue that lost call is not logged into conversation history in Outlook. Here the other day Micrsoft came out with at patch to fix this. One of my customer who has Office 2013 and Lync 2013, who had this error has tried it and they have confirmed that this patch on the client side has fixed the issue. Just down the right version for your Lync/Skype client and it will start to write in Conversation History again. Thanks to Dr.Lync for the url about this issue. Are you planning to build new conference rooms, well you should think about quality, services to the cloud. Clear One can help you here. Tektrakom in Norway can connect you to the right partner. From Microsoft I got this information. 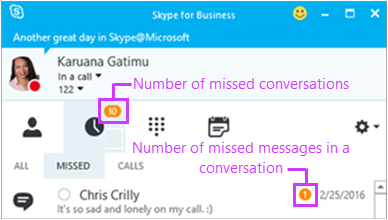 Skype for Business PSTN Conferencing is launching on March 1, 2016 in 18 new countries for Indirect and Direct Enterprise customers: Austria, Brazil, Bulgaria, Croatia, Czech Republic, Estonia, Greece, Hong Kong, Ireland, Japan, Luxembourg, Poland, Portugal, Romania, Singapore, Slovakia, Slovenia, and South Korea. For these countries PSTN Conferencing will be enabled for both Indirect and Direct Enterprise customers. PSTN Conferencing will also be enabled for Indirect Enterprise customers in the countries which launched on December 1, 2015. The full list of Sell-To countries on March 1, 2016 will be: Austria, Belgium, Brazil, Bulgaria, Canada, Croatia, Czech Republic, Denmark, Estonia, Finland, France, Germany, Greece, Hong Kong, Ireland, Italy, Japan, Luxembourg, Netherlands, Norway, Poland, Portugal, Romania, Singapore, Slovakia, Slovenia, South Africa, South Korea, Spain, Sweden, Switzerland, United Kingdom, and United States. Skype for Business PSTN Calling service is available in the United States, and on March 1 will be available to Indirect Enterprise customers. As promised on MUCUGN last week, here are the link for the presentation that I gave about the Persistent Chat Server. Microsoft has been out shopping again. This time they acquire some products from Event Zero. So the let's turn 2016 to the #Skype4B year.